NACM, the National Association of Credit Management, is the voice of "business credit" in America. NACM's members, over 14,000 strong, represent a wide variety of businesses from Fortune 500s to small companies. As the grantors of business credit, our members make daily business credit decisions. The decisions they make play an integral role in the U.S. economy. The business credit executive — the NACM member — is an essential player in the free enterprise system. NACM, through a variety of publications and its web site, reaches more than 35,000 business credit professionals. NACM Membership has grown from 600 at the end of 1896 to over 14,000 today, making the National Association of Credit Management one of the oldest and largest business organizations in the United States. Business Credit magazine is the official publication of NACM-National. 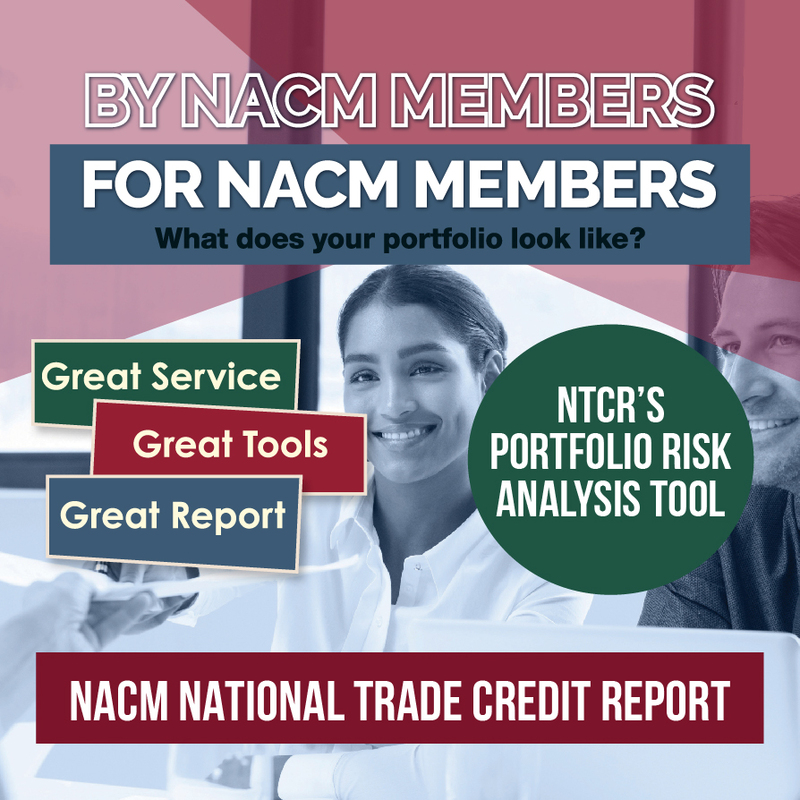 As one of the most important NACM member benefits, Business Credit keeps members and subscribers up-to-date and informed on the credit issues that affect the way business is conducted. Whether it's coverage on the latest news about bankruptcy, credit policy, business ethics, accounts receivable measurement techniques, lien law, international topics or new resources in technology, Business Credit keeps its readers on the cutting edge of trends, news and important legislative issues. Business Credit magazine is published 9 times each year, with combined issues in July/August, September/October and November/December. The NACM eNews Weekly Update is distributed on Thursdays to over 17,000 members and subscribers. eNews provides timely news briefs to the credit and financial community as well as updated event information. Two advertisers may advertise in each issue; however, they are listed on a first-come, first-served basis. Each year, NACM sponsors an Exposition, held in conjunction with its annual convention, the Credit Congress. The NACM Credit Congress & Exposition attracts nearly 2,000 credit professionals from across the nation. The program is designed to be educational and brings NACM members up-to-date on the best resources and latest technology available. an opportunity to meet with credit and financial members — the executives who purchase your products. These decision makers automate company accounts receivable systems, track and research business credit, purchase receivables insurance, use banking services and pursue collections. a chance to showcase products and services in the areas of computer software, A/R outsourcing, banking and financial services, credit reporting, deductions, management, financial informational analysis and insurance. a chance to show NACM members that your products or services will make their jobs easier and help them work more efficiently. your chance to participate in the only national exposition designed to meet the needs of business credit executives.